High School Students’ Genius Music Video About Canned Food Drive Goes Viral. Every so often, fun and talent combine to benefit everyone. 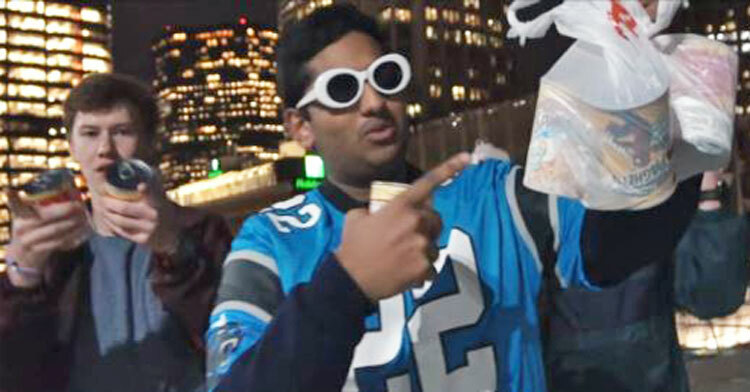 Students from Providence High School in Charlotte, North Carolina have created a viral video that not only looks like it was a blast to make but is also serving an important public service to the hungry citizens of their city. For the past seven years, students at Providence High have participated in the Carolinas Student Hunger Drive. Each year, the kids come up with creative videos designed to encourage people to donate canned goods to the local food shelters. Student Bryce Desai says that this year, they wanted to do something special. “Last year’s cans video was a little underwhelming, so as upcoming seniors, we knew we wanted to do as best we could,” he said. This year’s video is anything but underwhelming. In fact, their song, “Canz,” which is a parody of “No Hands” by Waka Flocka, is so good it’s going viral. The video features four kids trading off rap verses about gathering cans of food to feed the hungry. The video got a little boost in its popularity thanks to a student from Russia who has a large social media following. After she posted it to her Facebook page, things really took off. “We did not expect that at all, but it’s really exciting that it’s happened,” said Kelly Berenfeld, one of the man stars of the video. To date, over 50,000 people have watched the video, and its popularity continues to grow. This is especially great news because more views equal more food donations, which is the whole point of the video. Great job, kids! What a creative and original concept. Check it out below, and don’t forget to share!